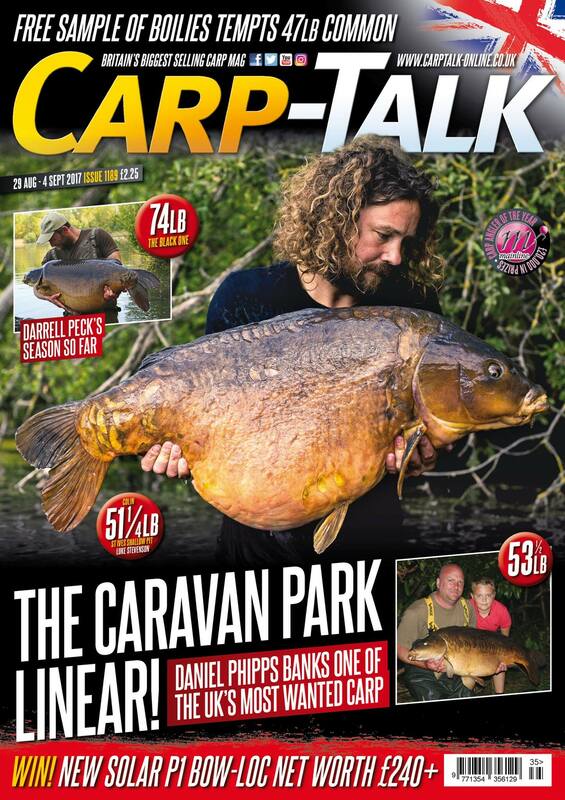 We’ve got two of Cambridgeshire’s finest at the front of the news: the Caravan Park Linear at 53½lb and Colin of St Ives Shallow Pit at 51¼lb. We’ve also got Cottington’s big ’un and chunks from Bluebell, Grenville’s, Anglers Paradise and Sandhurst. We also examine who’s in the running to win the 2017 Most Wanted Cup. Darrell Peck of Mainline Baits reflects on a superb year and some exciting times ahead. Steve Briggs of The official Nash Tackle pagemoves on to pastures new in his piece ‘The Balkans Challenge’, and Lee Merritt of RidgeMonkey is rewarded for his efforts on an Essex water. Dan Cleary of Dynamite Baits explains why it’s more fun to make your own concoctions, and Mike Salisbury of KODEX Intelligent Tacklereappraises his kit as he takes on some midweek overnighters. 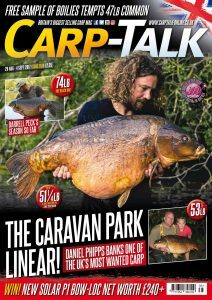 Products from Cygnet Tackle, Bait-Tech Carp Scene, Wychwood Carp, KODEX Intelligent Tackle, Fox International, Baitology, Rhino Tech, DNA Baits and Sufix UK appear in ‘Trade Talk’, and there are reviews of The official Nash Tackle page's Slap Heads, Trakker Products' Tempest Brolly and Chris Woodrow’s new book. Plus, we’ve got a Solar TackleBow-Loc Net up for grabs.